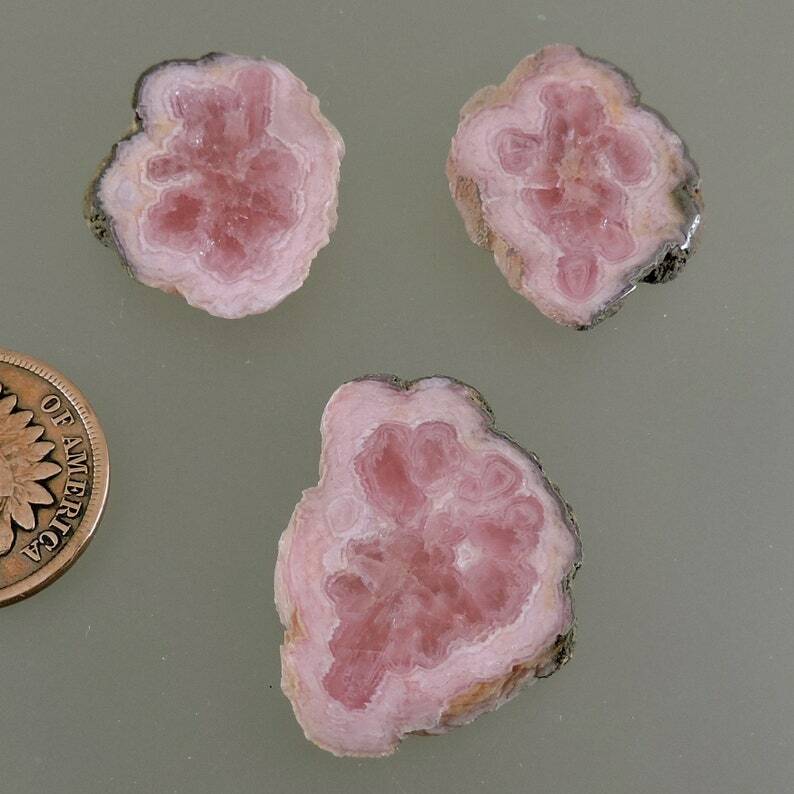 These stunning Cabochons were cut from a stalactite of Rhodochrosite which allows the use of the lovely Lilly Flower patterns to be seen instead of the usual banded type. Rhodochrosite, which means rose-colored, often forms in pink and white bands. These cabochons are a very pleasing deep pink with the Lilly flower patterns running through out. The pink color of Rhodochrosite is caused by the element manganese and it is formed when manganese is dissolved by ground water and combines with a carbonate material and then drips off the ceiling of caves and crevices deep underground. We acquired this rough from Jose at Rhodo Co. whose wonderfull stones are surpassed in beauty only by his daughters.